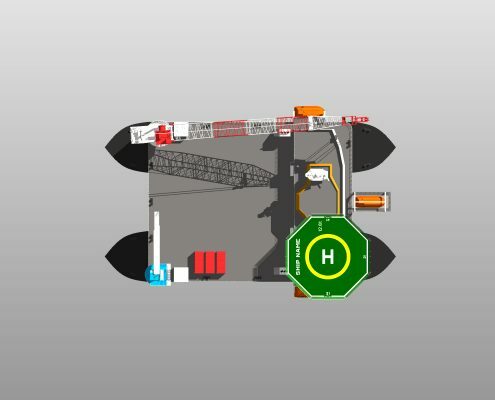 The deck box will consist of a double bottom height of 1.50 m, containing void spaces and waste tanks. 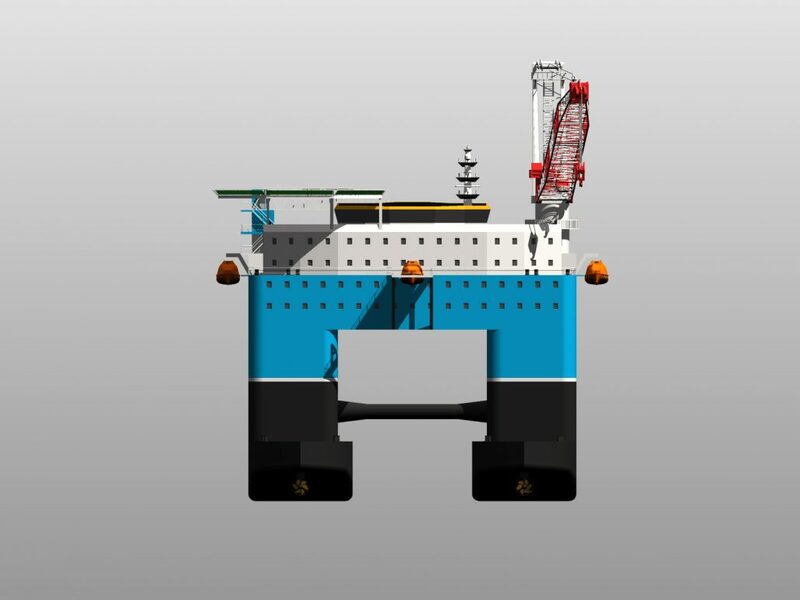 The deck heights in the accommodation (200+ persons) will be such that the internal ceiling height will be at least 2.20 m. At the aft end of the deck box two (2) engine rooms are located. 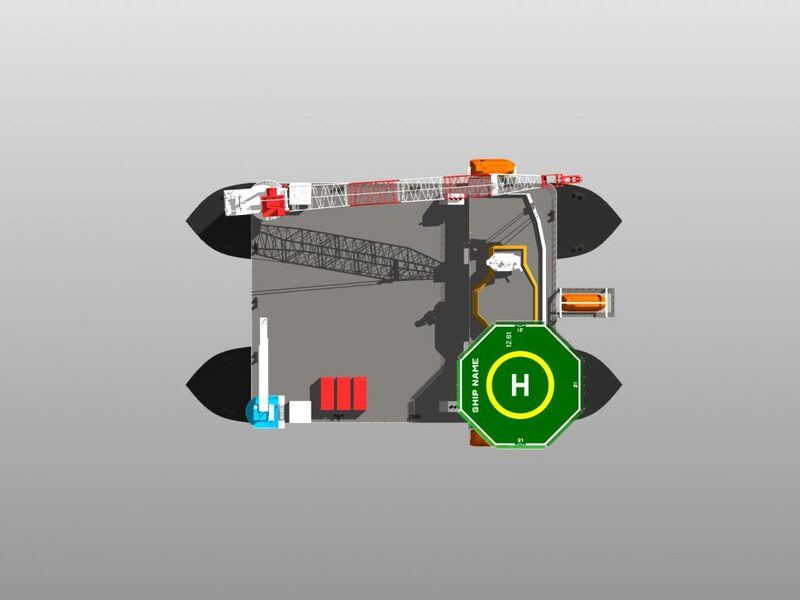 A space reservation is made for a moon pool for future diving or drilling activities. 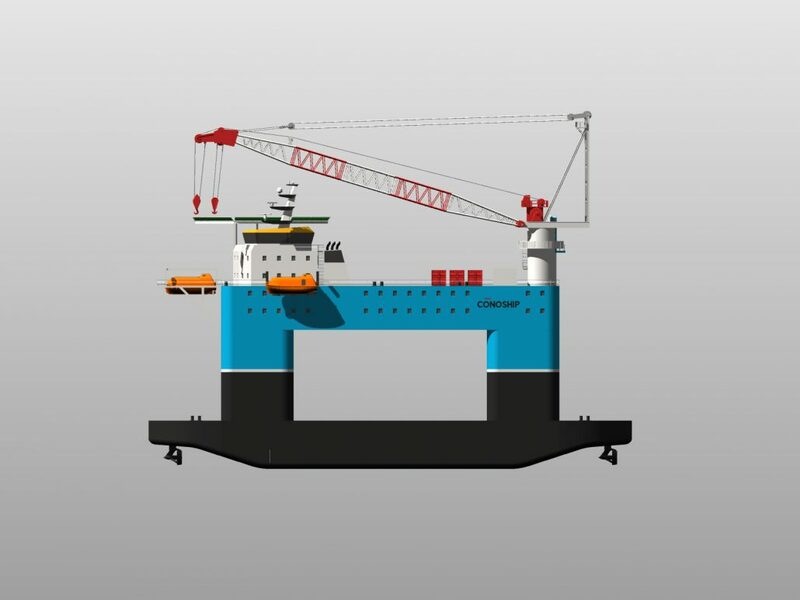 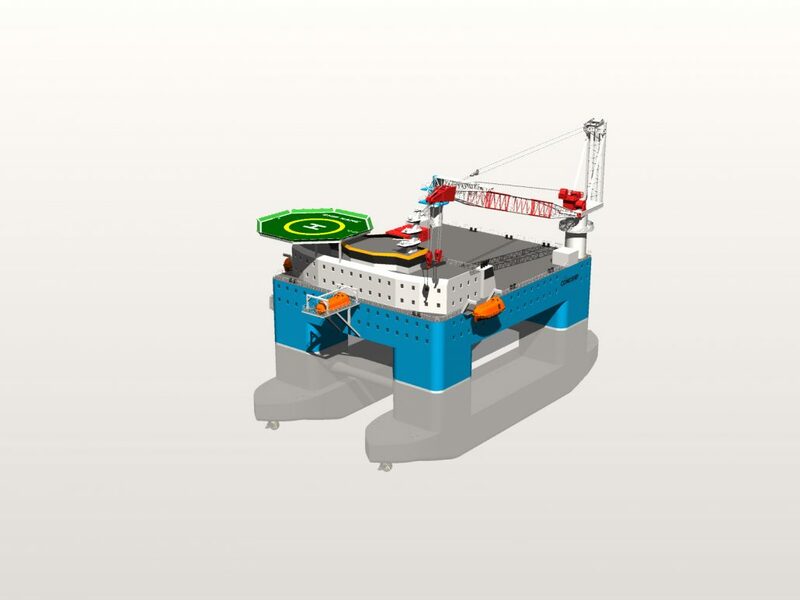 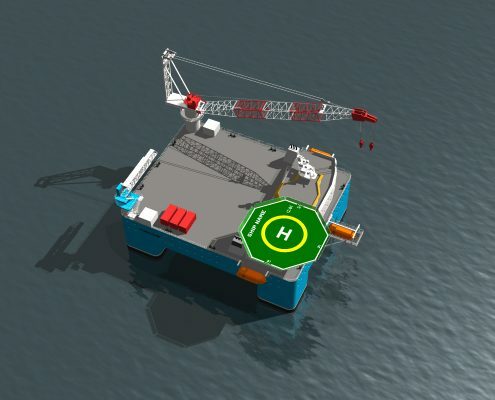 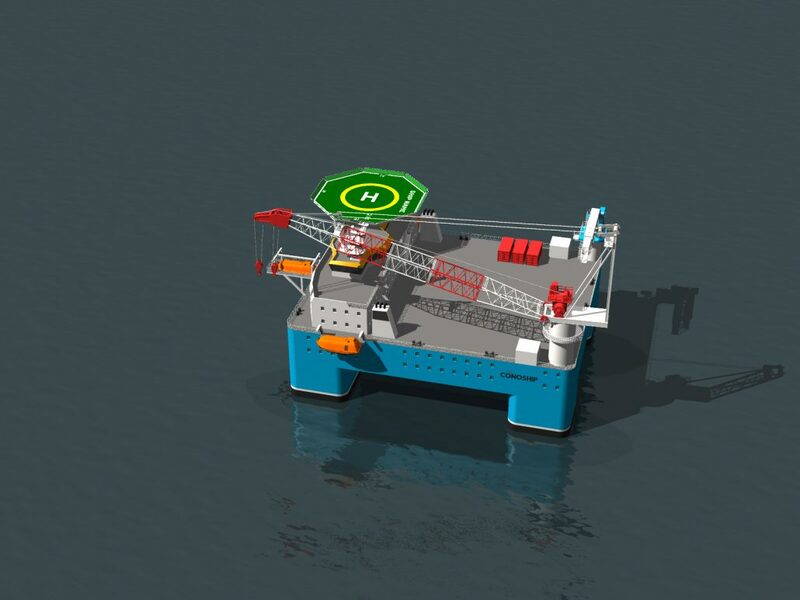 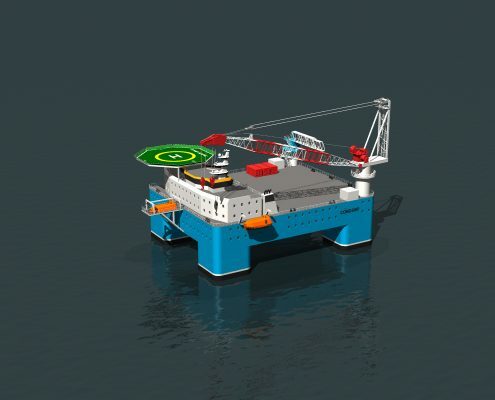 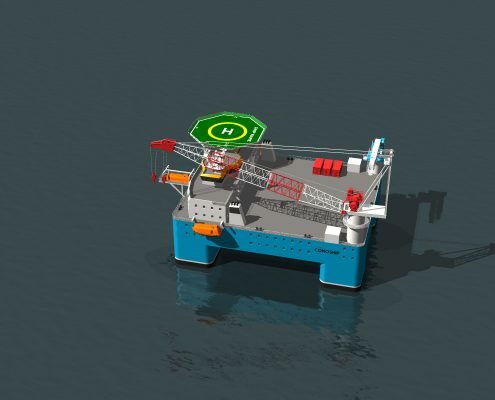 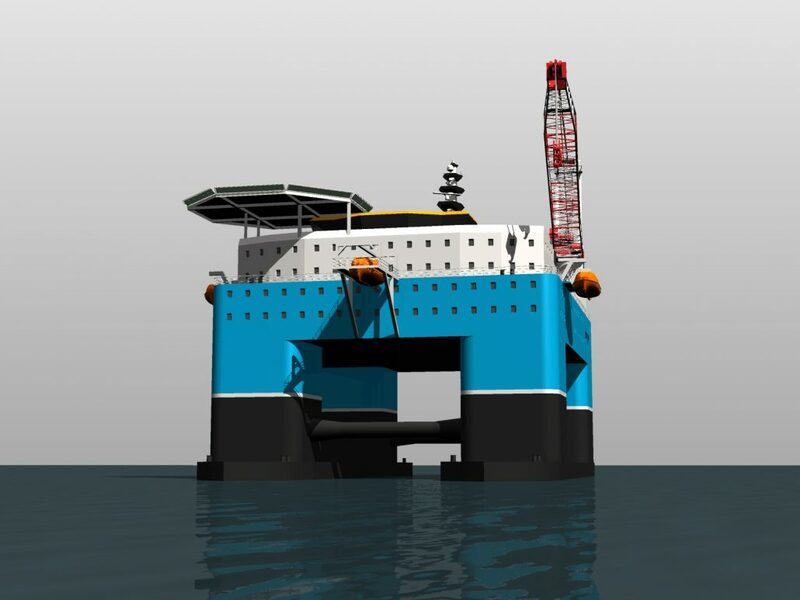 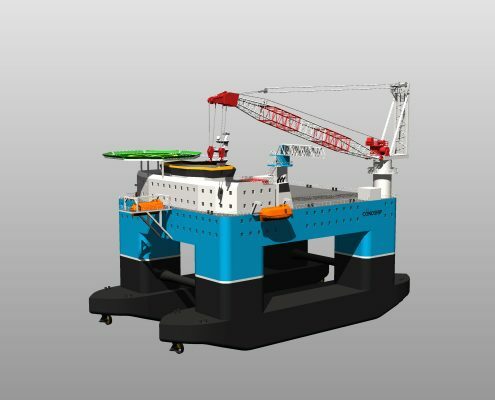 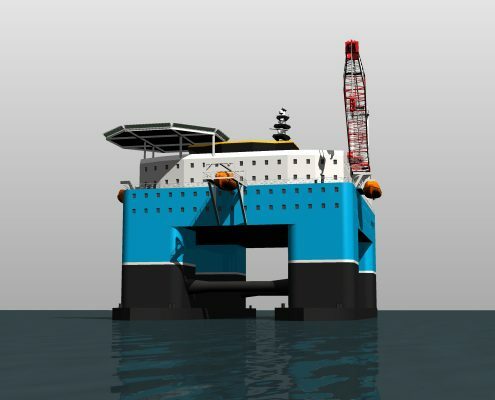 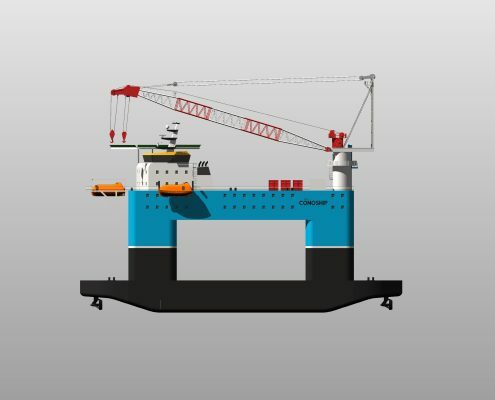 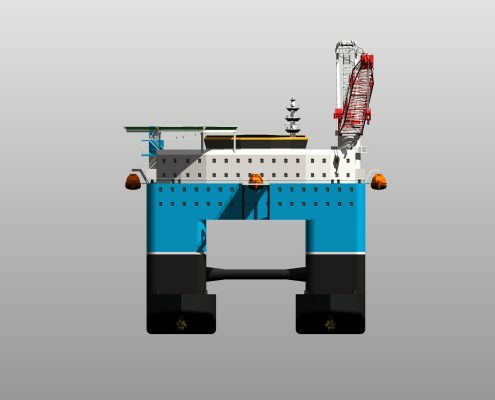 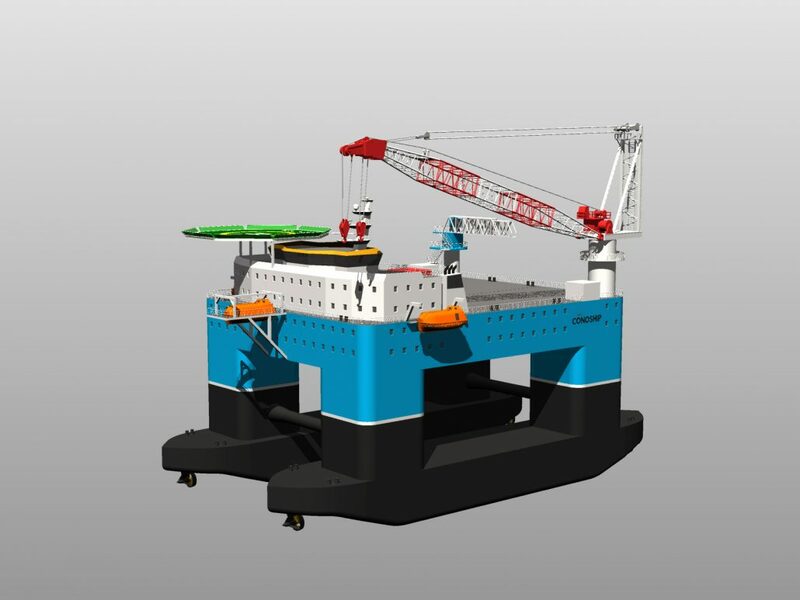 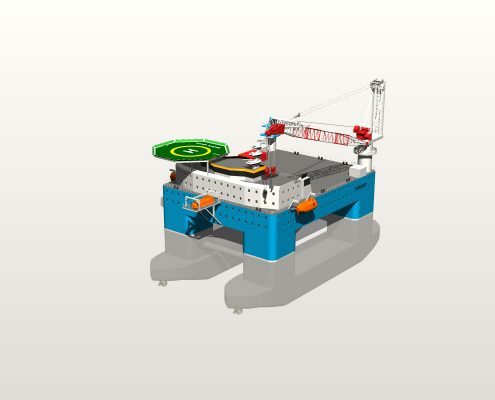 The vessel will be equipped with three totally enclosed davit launched lifeboats with corresponding recovery system, suited for 100 persons each.